The FBI sought Friday to renew interest in the manhunt for Daniel Andreas San Diego, an animal rights activist accused of bombing two offices in the Bay Area a decade ago. San Diego, a 35-year-old former resident of Schellville in Sonoma County, is one of 25 of Northern California's "most wanted" featured on a website launched this week by federal law enforcement officials. The site has a variety of fugitives, including Frank Lee Morris and the Anglin brothers, Clarence and John, who set off from Alcatraz on a raft in 1962. "I think it's important to let the community know that he is still a danger, and we would very much like to get him into custody as soon as possible," David Johnson, the FBI special agent in charge of the San Francisco division, said of San Diego. 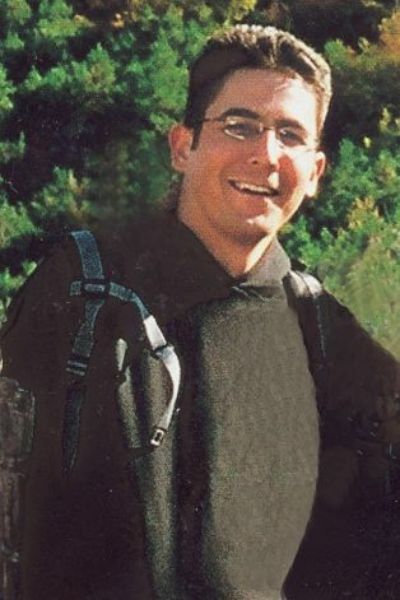 San Diego was the first domestic fugitive added to the FBI's most wanted terrorist list after he was tied to three homemade pipe bombs that were detonated in 2003 at Chiron Corp, a biotechnology firm in Emeryville, and Shaklee Corp., a nutritional products company in Pleasanton. Nobody was injured. Investigators believe San Diego bombed the firms because they had worked with Huntingdon Life Sciences, a New Jersey lab that does experiments on animals. San Diego was under FBI surveillance in October 2003 when he pulled his car over in downtown San Francisco and slipped into a BART station. Since then, the FBI has received tips placing him in Novato, San Rafael, Santa Cruz, Massachusetts, Germany, Spain, France, Italy, Costa Rica and Bolivia. San Diego is about 6 feet tall and 160 pounds. He had three tattoos, one each on his chest, stomach and back, depicting buildings, a pastoral scene on fire and the words, "It only takes a spark." He is a vegan and is skilled in computer networking and sailing. The FBI is offering $250,000 for information leading to his arrest. Anyone with information is urged to call (415) 553-7400 or submit a tip at https://tips.fbi.gov.